ROME, Ga. (January 17, 2018) – Renaissance Marquis Retirement Community has been recognized by the Rome News Tribune as “Rome’s Best Assisted Living Community” for the fourth consecutive year. “I am proud of the team at Renaissance Marquis for continuing to serve as Rome’s best assisted living community four years’ running. They devotedly operate with the mission to serve the greatest generation with honor, respect, faith and integrity. These team members work faithfully each day to achieve this mission while providing a homelike environment for their residents,” said Bryan Cook, COO of Legacy Senior Living, management company of Renaissance Marquis. Renaissance Marquis Senior Living Community recently celebrated its 20-year anniversary of serving seniors in the Rome area. 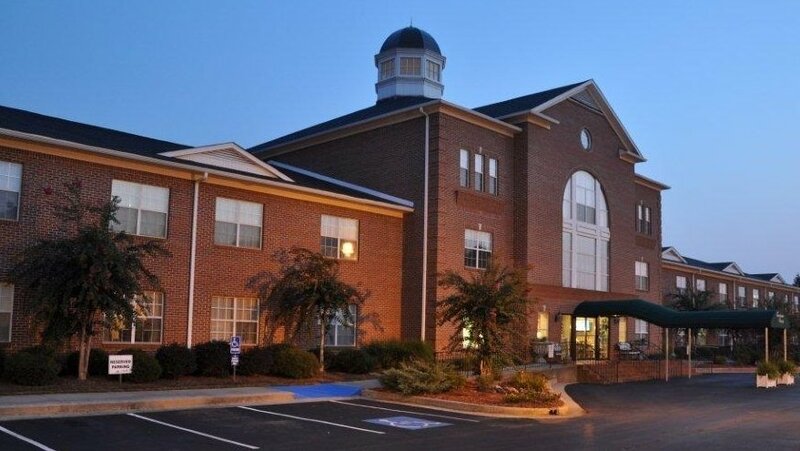 Situated on 11 beautiful acres at 3126 Cedartown Hwy SW, Renaissance Marquis is an assisted living and personal care home in Rome, Ga., that offers independent living, assisted living and Alzheimer’s care services in a safe, attentive, homelike atmosphere. The facility, which is conveniently accessible to all points in Northwest Georgia, is committed to serving the greatest generation with honor, respect, faith and integrity. More information is available at renaissancemarquis.com or by calling (706) 295-0014. Renaissance Marquis is part of a family of senior living communities throughout the Southeast owned and/or operated by Legacy Senior Living of Cleveland, Tenn. The parent company specializes in offering independent living, assisted living, and Alzheimer’s care services. It was founded in 2002 by Barry Ray and Bryan Cook, senior living industry veterans. More information is available at legacysl.net. I am thankful for our hardworking team who is dedicated to loving and caring for our residents each day. Located on 11 beautiful acres across from Georgia Highlands College, Renaissance Marquis offers a full range of helpful services in a secure, attentive, homelike atmosphere to those looking for a senior living community or independent living in Rome, Ga. The assisted living, independent living and Alzheimer's memory care facilities are among the region's largest and most up-to-date. Renaissance Marquis has set the standard for senior housing and retirement services in north Georgia. More information is available at (706) 295-0014 or www.renaissancemarquis.com. Renaissance Marquis is part of a family of senior living communities throughout the Southeast owned and/or operated by Legacy Senior Living, of Cleveland, Tenn. Legacy Senior Living specializes in offering independent living, assisted living, and Alzheimer’s care services. More information is available at legacysl.net. ROME, Ga. (March 13, 2019) - Legacy Senior Living recognized team members and residents at Renaissance Marquis during a special visit. ROME, Ga. (June 14, 2018) – The two-member nursing team at Renaissance Marquis was recognized on National Nurses Week, May 6 to 12, with the gifts of a new Littmann® Stethoscope, a personal note and a bouquet of flowers at each one’s nursing station in appreciation of their dedicated service. Pictured here (l-r) are Catie Mason, LPN, and Shelly Collins, LPN. Blake Ray Promoted to Director of Asset Management of Legacy Senior Living, Management Company of Renaissance Marquis Retirement Community in Rome, Ga.
CLEVELAND, Tenn. (June 14, 2018) – Blake Ray has been promoted to director of asset management at Legacy Senior Living in Cleveland, a Tennessee-based management company of assisted living and memory care facilities. ROME, Ga. (May 17, 2018) – Catie Mason, LPN, has been named the assistant administrator of Renaissance Marquis, a premier assisted living and retirement facility serving Floyd County. ROME, Ga. (April 30, 2018) – The caregiving team at Renaissance Marquis has been certified in an extensive Dementia and Alzheimer’s training program.